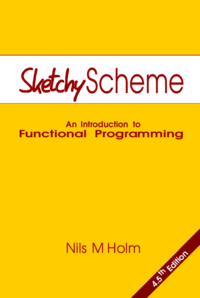 Sketchy Scheme is an introduction to functional programming in Scheme. Scheme is a language of the Lisp family with particularly clean syntax and semantics. It is frequently used in research and education. Functional programming is an approach that focuses on the evaluation of expressions. Programs are formed by combining functions. Most functional programming constructs are free of side effects, which allows to examine programs formally and prove properties of algorithms. 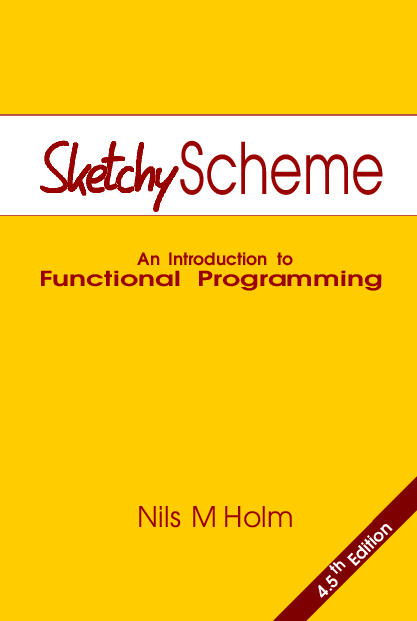 This book provides a step-by-step introduction to functional programming in Scheme. It covers various aspects of the language like data types, conditions, recursion, list processing, lexical scoping, closures, function definitions, dynamic typing, etc. By means of numerous examples of varying complexity, it takes the reader on an entertaining and informative tour through the language.